Jung Pak, SK-Korea Foundation Chair in Korea Studies and Senior Fellow in the Center for East Asia Policy Studies: The Trump administration will probably tout this as a Nobel-worthy effort by President Trump, but the Singapore summit produced little more than frothy statements without substance, with little accountability for Kim Jong-un to cease and dismantle his nuclear weapons program. In the press conference after the summit, Trump could have reinforced the U.S. commitment to our alliances with South Korea and Japan, but instead made gratuitous comments complimenting Kim and touting his trustworthiness, as well as raising the possibility for more give-aways to Kim, such as a visit to the White House. He also criticized U.S.-South Korean military exercises and cast doubt about the future of U.S. troop presence in South Korea. The Trump-Kim meeting started a diplomatic process, but it will be difficult for working-level U.S. officials to build upon North Korean denuclearization on this very shaky and loose foundation. In effect, maximum pressure has morphed into maximum maneuvering space for Kim. India and China, which together accounted for almost 17% of world oil consumption last year, are working on combining their shopping carts with a view to challenging Opec’s capability to play havoc with crude prices and seek better bargains from the cartel of oil exporting countries, especially its West Asian members. The two sides kicked off formal talks in Beijing on Monday for forming an oil buyers’ club + . The development is likely to weigh on Opec energy ministers, who are expected to discuss a plan to end the production cut deal later this month. 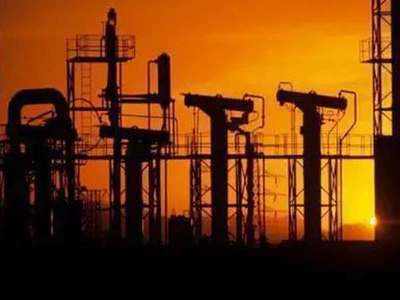 The talks come within less than two months of oil minister Dharmendra Pradhan proposing an alliance between Indian and Chinese state-run oil companies for a greater say in the market. Meanwhile, shipping to and from China would be forced to divert through the western Pacific Ocean, where such diversions would be vulnerable to Australian, Japanese, or American naval action. 87 percent of the country’s petroleum needs are imported from abroad, particularly the Middle East and Africa. China’s strategic petroleum reserves, once completed sometime in the 2020s, could stave off a nationwide fuel shortage for up to seventy-seven days—but after that Beijing would have to seek an end to the war however possible. On 29th May, in response to a question from the Irrawaddy’s Representative, the Permanent Secretary of the Defence Ministry, Brigadier General Aung Kyaw dropped a bomb shell that the Tatmadaw (the Army) is ready to obey if President U Win Myint orders a stop to the ongoing military operations in Kachin State in line with the law. The catch phrase is perhaps “in line with the law.” The Brig. General declared that the Kachins do not want to relinquish power they gained from bearing arms and that peace can be achieved only through the path of the National Cease fire Agreement. Thus he made it clear to all those including the civilian leadership that the Army’s operations against Kachins will continue until they sign the Government-sponsored cease fire agreement! Among the many issues at play in the ongoing economic and trade tensions between the US and China are questions of technological capability and innovation. Two of the main complaints in the US Section 301 report were that American companies have been forced to transfer technology to China and been the subject of cyber espionage. The presentation of the issues in this report has been disputed, but behind it lies concern in the US that Chinese innovative and technological capability is catching up with that in the US, thanks partly to the support of state policies set out in the Made in China 2025 initiative. One important feature of the package of measures announced by the US last month is that it was designed to contain China’s technological development as much as to reduce the trade deficit, even though the latter has been the focus of President Donald Trump’s rhetoric. The most critical avenue of potential advance lay in Manchuria, where the Red Army had launched a devastating, lightning quick offensive in the waning days of World War II. Despite its size, the PLA of 1969 had no better hope of stopping such an offensive than the Kwantung Army had in 1945, and the loss of Manchuria would have proven devastating to China’s economic power and political legitimacy. In any case, Soviet airpower would have made short work of the Chinese air force, subjecting Chinese cities, communication centers and military bases to severe air attack. Americans tend to remember the Cuban Missile Crisis as the most dangerous moment in Cold War brinksmanship. Despite some tense moments, Washington and Moscow resolved that crisis with only the death of U.S. Air Force pilot Maj. Rudolph Anderson Jr. The Chengdu J-10 Firebird was the People’s Republic of China’s first attempt to develop a fourth generation fighter comparable to the American Boeing F-15C Eagle and Lockheed Martin F-16 Falcon as well as the Soviet Sukhoi Su-27 Flanker and the Mikoyan MiG-29 Fulcrum. While initially envisioned as a pure air superiority fighter when development started in 1988 as a direct counter to the Su-27 and MiG-29, the 1991 collapse of the Soviet Union meant that Beijing could retool the J-10 into a multirole fighter that would complement the People’s Liberation Army Air Force’s (PLAAF) growing fleet of Flanker derivatives—which a formerly adversarial—and impoverished—Russian Federation was more than willing to supply in exchange for hard currency. Indeed, while the J-10 has evolved over the years into a formidable warplane as new technologies are added to the jet, various unlicensed Chinese copies of the Su-27 and Su-30 including the J-11B, J-15 and the J-16 among others have largely overshadowed the Firebird. 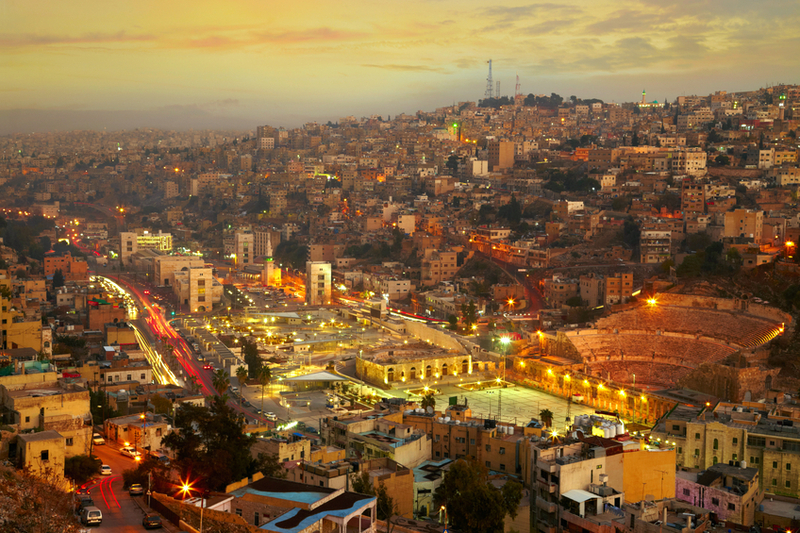 While the media is dominated by events in North Korea, it would be wise to devote some space to the decision this week by Saudi Arabia, the United Arab Emirates, and Kuwait to provide Jordan with more than 2 billion dollars in aid over five years to sustain Amman during a time of unprecedented economic pressure. With an estimated 200,000 Jordanian protestors on the streets venting anger over falling living standards, Jordan is the third Middle East country to endure widespread unrest this year. Dissatisfaction has been rising for months, and protests have echoed the unrest that shook Tunisia and Iran earlier this year. In all three countries, protestors represented a spectrum of lower and middle class groups in demonstrations larger than anything seen in the early days of the Arab Spring. Likewise, protests were essentially leaderless, rudderless, and fueled by social media. The leaders of the affected countries responded by backing away from necessary reforms to restore order. "This is an opportunity to hold their feet to the fire and see if North Korea is serious about this," Rep. Thornberry said. “If they’re not serious, then it’s pretty easy to say those joint exercises that were scheduled for August are now going to happen in September or October." 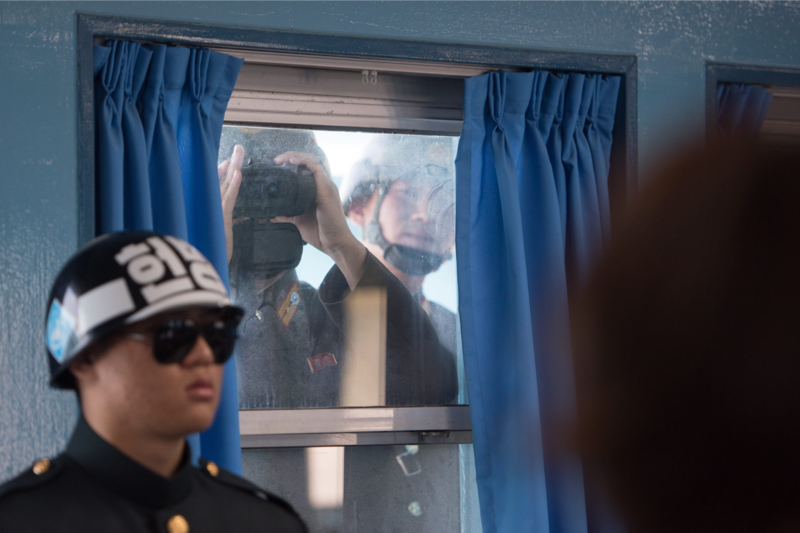 CAPITOL HILL: It’s okay for President Trump to “suspend” upcoming military exercises in Korea as a concession to Pyongyang, the House Armed Services chairman said, since other forms of training will continue. Rep. Mac Thornberry was commenting on Trump’s pledge to stop unspecified “wargames” that were both “tremendously expensive” and “very provocative.” Other members of Congress have expressed concern, including prominent Republicans. The authors seek to spark a deeper conversation on the merits of geoeconomics — i.e., using economic instruments to produce beneficial geopolitical results — as a potential source of new and scalable policy options for the U.S., as well as the EU and its individual member states, to bolster gas supply and national security across Europe. Meet the new data challenges. Same as the old data challenges. During a May 10 panel at the annual C4ISRNET conference, officials from the military and government delved into the barriers that keep the Department of Defense from being able to consolidate data to provide a single battlefield picture to troops and enable them to make decisions on the fly. Spoiler alert: They might sound familiar to those following the problem over the past several years. Here’s a look at what still needs to be solved: Moving from a platform-centric mindset The military loves its tanks, planes and ships, but equally important is the ability to push the data collected by those platforms to each other in real time, Capt. Clayton Michaels, the special assistant to the associate director for operations at the National Geospatial-Intelligence Agency, said. 53% of execs pay a hacker's ransom. Are businesses losing the cybersecurity battle? It's no secret that ransomware attacks have spread like wildfire through enterprises since 2016. However, this marks the first year that the majority of company executives—53%—reported paying a hacker's ransom following an attack, in attempts to unlock critical business files, according to a Tuesday report from Radware. This figure comes as 69% of executives said that their company faced a ransom attack in the past year—up from 14% in 2016, the report found. Some 66% of the 200 executives surveyed worldwide said they are not confident in their network security, and admit that their networks are penetrable by hackers. The Industrialization Of Cybercrime. Lone-wolf Hackers Yield To Mature Businesses. Cybercrime is now a mature industry operating on principles much like those of legitimate businesses in pursuit of profit. Combating the proliferation of cybercrime means disrupting a business model that employs easy-to-use tools to generate high profits with low risk. Long gone are the legendary lone-wolf hackers of the late 1980s, when showing off level 99 computer wizard skills was the main reason to get into other people’s computers. The shift to profit making, starting in the 1990s, has gradually taken over the hacking scene to create today’s cybercrime industry, with all the attributes of normal businesses, including markets, exchanges, specialist operators, outsourcing service providers, integrated supply chains, and so on. Several nation-states have used the same technology to develop highly effective cyber weaponry for intelligence gathering, industrial espionage, and disrupting adversaries’ vulnerable infrastructures. Predicting When Weapons Will Break is a Hot New Market. Microsoft Wants In. 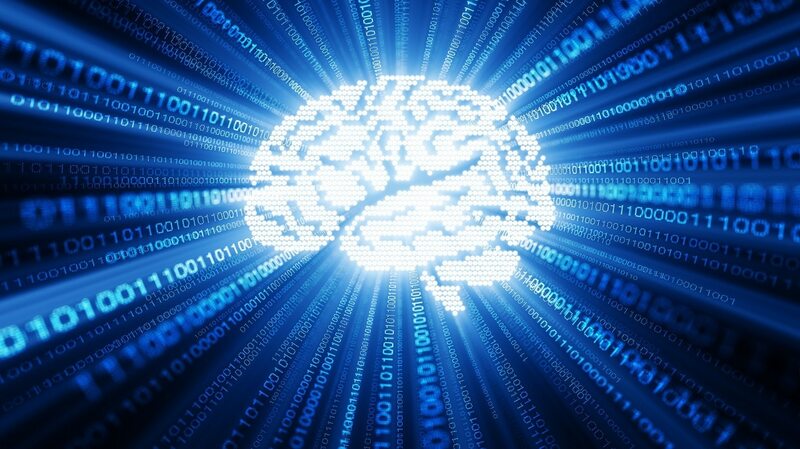 As the Pentagon shops for technology that can predict when its weapons might break, Microsoft (MSFT) is shopping its artificial intelligence to defense decision makers in Washington. The firm’s touting its technology comes as companies large and small look to score deals in this emerging military market. “Using a lot of [this machine learning technology] really is about lowering your total cost of ownership for a particular asset,” said Jim Ford, director of cloud strategy and solutions for Microsoft Federal, while showing off the technology on Tuesday at a pop-up exhibit in Washington just blocks from the White House. On October 30, 2015, the U.S. Army Special Operations Command (USASOC) facilitated a senior leader forum, hosted by the U.S. Special Operations Command (USSOCOM) and the U.S. Department of State (DoS), to explore the subject of comprehensive deterrence. Participants included representatives from across DoS and the U.S. Department of Defense. According to a 2015 draft joint USASOC and USSOCOM definition, comprehensive deterrence is the "prevention of adversary action through the existence of credible and proactive physical, cognitive and moral capabilities (loosely defined as willpower) that raise an adversary's perceived cost to an unacceptable level of risk relative to the perceived benefit." 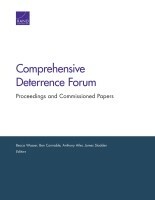 Part I of this report delivers the proceedings from the senior leader forum, reflecting a robust discussion of comprehensive deterrence and its application. To ensure a wide variety of perspectives and encourage free-flowing discussion, all remarks from the forum were not for attribution. As such, the conference summary seeks to draw out the main themes and observations from the discussion without attributing particular points to a specific participant. WASHINGTON — China has made no secret of its ambitions to surpass the United States as an economic and military power. Although it still has a lot of catching up to do, China is tenaciously developing space technologies that will threaten U.S. satellites, and the United States should take this challenge seriously, said Sen. David Perdue, a Republican from Georgia and member of the Senate Armed Services Committee. “I have been a China watcher for much of my career,” said Perdue, a longtime business executive who lived and worked in Asia for many years. “China for 30 years has viewed space as a military effort. We need to recognize that,” he told reporters Tuesday at a breakfast meeting. WASHINGTON: A little known group of top America scientists known as JASON will, if the Senate Armed Services Committee has its way, perform a major analysis of US and allied Electronic Warfare capabilities and recommend how the US can improve this crucial element of warfare. Why is the SASC doing this: “The committee recognizes that the United States has a significant comparative military disadvantage (emphasis added) against our peer competitors in aspects of the electronic warfare mission and in the conduct of joint electromagnetic spectrum operations.” Breaking D readers, of course, have long known about America’s weaknesses in EW and across the spectrum. JASON is one of those entities you’d have to make up if they didn’t already exist. It’s a self-selecting group of top scientists, heavily weighted toward Nobel Prize-winning physicists in the past, who provide independent advice to the US military. They mostly get together in the summer — presumably after classes end — and produce reports on a wide array of topics, most of them classified. For years, ransomware has been the bane of the enterprise, with cyber criminals literally holding data hostage unless a ransom is paid. Some verticals in the enterprise can breathe a sigh of relief, however, because now there is less ransomware in play, but individuals and small businesses are the newest target as cryptomining becomes the hottest trend in cyber attacks. Craig Williams, director of outreach for Cisco Talos, addressed the trend at Cisco Live 2018, noting that "people are backing off from ransomware. It's a super high risk. A lot of people aren't paying." Cryptomining is rising up to take the place of ransomware, and if cyber crime could be considered trendy, crypto mining is Cardi B, Drake and Taylor Swift rolled into one. Your printer logs everything All modern printers keep some form of log. Depending on the make and model, the logs can be highly intrusive and even go as far as indefinitely retaining full copies of all material. Printer logs can be a substantial and unexpected privacy risk, especially if they contain sensitive and personal information. This is a significant risk when disposing of or selling old printers, as people are rarely aware of how to wipe or destroy the hard drive safely. In shared printers, information logs will also include which computer connected to the printer and submitted the printing job. If the printer uses no authentication system, or if enough people share the same credentials (e.g., one password for the entire user base), it is possible to hide the identity of whoever is printing a document by using an operating system like TAILS, but not the contents of the document. What information-related practices or capabilities have U.S. allies employed effectively, and which could the U.S. Army adopt? What information-related practices or capabilities have adversaries or potential adversaries used effectively, and which of these could the Army adopt? What are adversaries or potential adversaries doing in the information environment that the Army cannot consider doing because of ethical or legal constraints, and which of these should it be most prepared to counter? Harnessing the power of old and new technology, it is easier than ever for U.S. allies and adversaries to reach — and influence — vast and varied audiences to achieve their strategic goals. Modern conflicts are fought as much in the information environment as on the physical battlefield, and the line between these domains is dissolving.